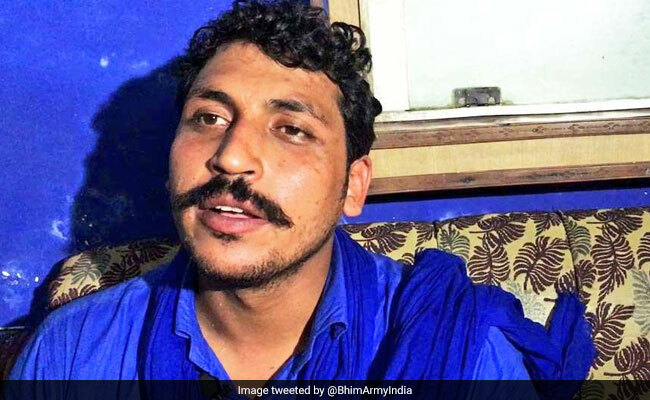 Exactly 24 hours after he was freed from a jail in Uttar Pradesh, Chandrashekhar Ravan told NDTV over the phone from his home in Saharanpur district, "I'll ask each and every Dalit in this country to throw out the BJP government in 2019. We will support whoever is willing to do it." Chandrashekhar, who was imprisoned for a year on controversial charges of endangering national security, has been freed just in time to challenge the Dalit powerhouse status of Mayawati. He is 30; she is 62. Over the weekend, she reacted furiously to questions about whether her Bahujan Samaj Party would allow him any sort of room. 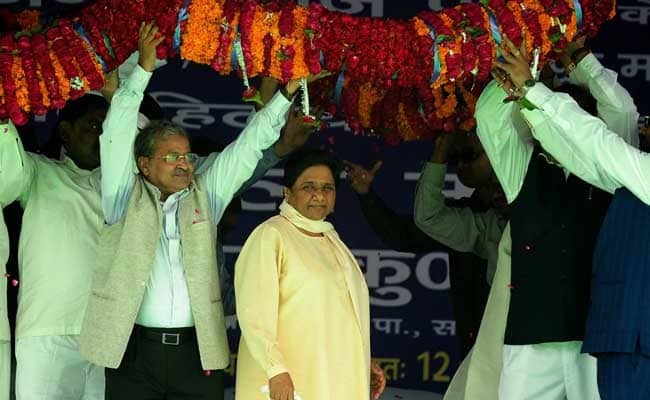 Mayawati's enrolment in an anti-BJP league is key to whether the opposition will have any luck in preventing Prime Minister Narendra Modi from a second consecutive term. At NDTV Yuva, a conclave held on Sunday, Akhilesh Yadav said he remains willing to give her pride-of-place in a partnership in Uttar Pradesh to block the PM from racking up a big score in India's most crucial state - it elects 80 members to the Lok Sabha. 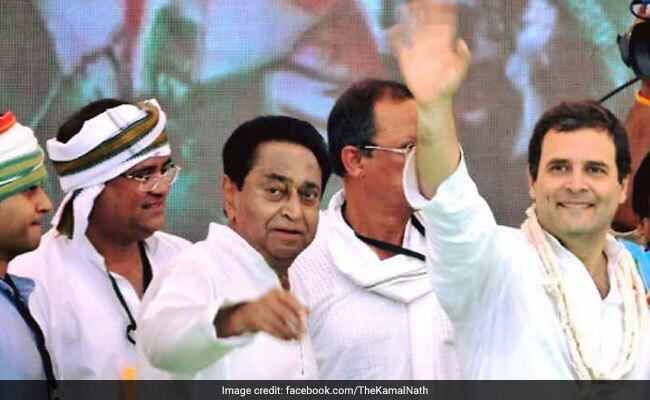 But Mayawati's negotiations with the Congress, which, on account of its status as a national party, is the anchor of a united opposition front, has not so far hit gold for an arrangement in the three states that must vote by December - Rajasthan, Madhya Pradesh and Chhattisgarh. All are held by the BJP; a hit for the party here could set the momentum for 2019. "Behen-ji", as she is known, exhibited her famous short temper on Sunday declaring that she would not agree to any alliance which does not give her party its due share of seats. Given the political sharps of BJP chief Amit Shah and word of his outreach to Mayawati to wrest her from the opposition, Chandrashekhar Ravan's release from jail at this particular time could be politically expedient for his party, allowing him to make the point that if she won't play ball, he can, quite easily, call for back-up. "They are the enemy of my people," says Chandrashekhar to NDTV, denying any secret understanding with the BJP. 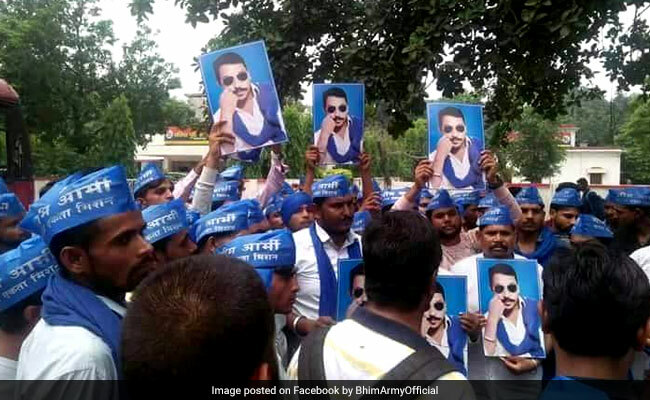 A law graduate, Chandrashekhar sporting a fecund moustache and Aviators, launched the Bhim Army for young Dalits like himself in 2014. He annexed "Ravan" to his name as an ideological burn to Hindutva, choosing the name of one of Hindu mythology's biggest villains. The outfit said its goal was to educate Dalit children who were discriminated against in "regular" schools and fight caste oppression. It quickly attracted thousands of followers including in Bihar, Madhya Pradesh and Rajasthan. In 2017, it shot into prominence during massive riots between upper caste and Dalit mobs in Saharanpur in Western Uttar Pradesh. One person, a Thakur, was killed; Dalit homes were set on fire. Mayawati was slow to react. Chandrashekhar and the Bhim Army were seen as the champions of the Dalits. He was arrested a month after the violence. While in jail, the legend of Chandrashekhar Ravan spread, aggrandizing his stature and almost certainly his influence. Chandrashekhar, like Mayawati, is a Jatav, which, as a sub-caste, makes up more than half of all Dalits, who form about 21% of Uttar Pradesh's population. He instated to NDTV, like Akhilesh Yadav, that Mayawati is his "bua" (aunt) and that he cannot criticize someone whose life's struggle has set the course for making space for Dalits in national politics. "She can continue to empower the Dalits politically while we focus on their social and economic advancement. After all, both of us have the same blood and similar goals," he said. The compliment was not returned. "I want to make it clear that I have no bua-bhatija relationships. If he had the interests of Dalits at heart, he would have come to me to fight the BJP together, rather than floating his own organisation and dividing our people. This will only help the BJP, not defeat them," Mayawati told the media over the weekend. This is not the first time Mayawati has charged Chandrashekhar of being a 'BJP dummy' his supportersclaim she feels threatened by the 'yuva shakti' or youth power in the community, that wants change. 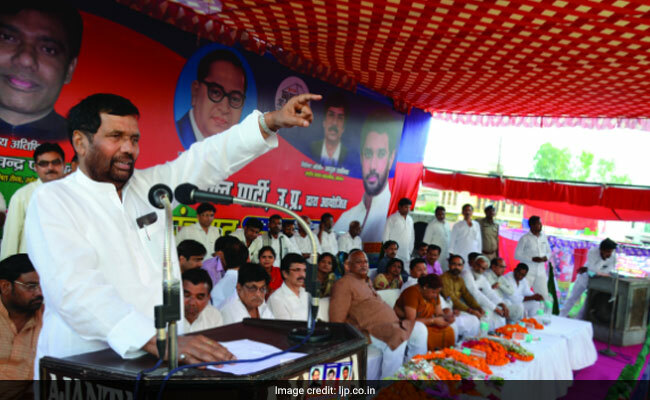 "Mainstream Dalit leaders like Ramdas Athawale and Ramvilas Paswan have repeatedly betrayed the community by compromising with feudal and communal forces to stay in power. Mayawati also failed to meet our aspirations despite being a four-time Chief Minister of Uttar Pradesh. 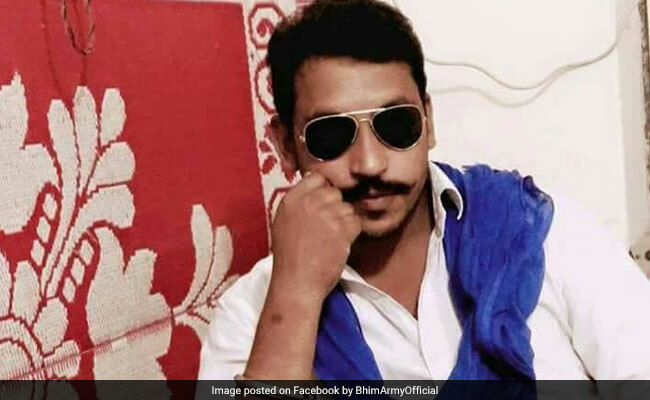 Today, they are all nervous of the Bhim Army which is making the older Dalit parties look increasingly irrelevant and out of touch with the aspirations of gen-next", says 25-year-old Rajesh Gautam, an advocate in Saharanpur who recently joined the Bhim Army. In 2014, Mayawati did not win a single seat. In the state election in Uttar Pradesh 3 years later, she won just 19 of 403 seats; Akhilesh Yadav lost the election as Chief Minister; their separate defeats forced them to end their lengthy feud and combine against the BJP. 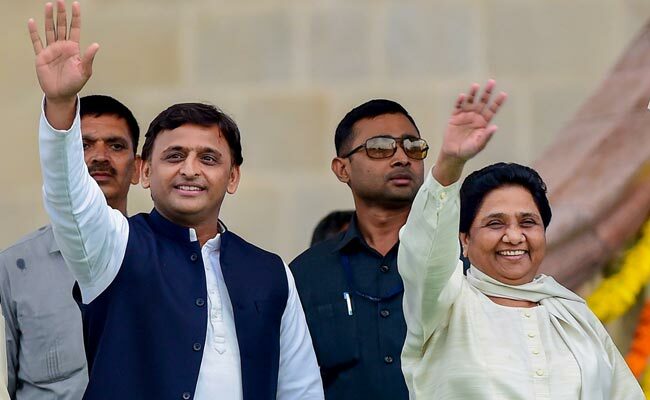 In three crucial by-elections that followed, they defeated the BJP - and suddenly, Mayawati was back in the game as the must-have player for both the opposition and the ruling party. But Mayawati cannot hope for resurrection without reclaiming support in Western UP which has a large concentration of Jatavs and backward castes or Pasmanda Muslims. Saharanpur, with a population of 42% Muslims, 22% Dalits, has been a BSP stronghold in the past with the party twice winning the parliamentary seat from here. All that changed in 2014 when the Dalits of Western Uttar Pradesh abandoned their leaders to vote for Narendra Modi as PM. In 2017, Mayawati failed to win a single assembly seat out of the five in Saharanpur. That has led to a total revamp of Mayawati's image. Abandoning her practice of appearing in public only at election rallies, she made a rare trip to Saharanpur to meet the Dalit victims of the caste violence, then followed up with a dramatic resignation from the Rajya Sabha in July 2017, accusing the government of muzzling her voice when she tried to speak on the clashes in parliament. Ahead of 2019, her attempts at a barrier to entry for Chandrashekhar are seen as petty. "She is a national leader of great stature. It was very uncharitable of her to dismiss Chandrashekhar when he tried to reach out to her in a show of unity," says Congress leader Imran Masood, a former MP from Saharanpur. Masood was one of the first politicians to meet Chandrashekhar after his release, aware of the growing clout of the Bhim Army among Muslims as well. As for Chandrashekhar, he says he hasn't given up on working on the same side as Mayawati. "The Dalits need a Bhim Army which is not afraid to go to any extent to bring about radical social transformation. That does not mean they don't need a BSP. We should complement each other. I'm convinced it's the only way forward," he says. It's the turf war within regional leaders that the BJP is counting on as it seeks to thwart the formation of a united opposition front. So far, there is little to prove its calculations are misplaced.